Of all the knives I own the Spyderco Street Beat is the one I would stick in my pocket for EDC use and self-defense. Like my other Sypderco knives the fit and finish are excellent and the workmanship and materials are first class. The design of the Spyderco Street Beat is what really won me over with this knife. The blade comes super sharp, and the VG-10 is a good steel.The deep finger choil and spine jimping make the knife a secure and comfortable fit in the hand. I have larger hands and the handle looks like it might be too small for me. Keep in mind that it’s a small knife and that you could carry it in the small of your back or in the appendix position under a shirt with ease. However due to the design of the handle it is such that the knife grips well in a palm grip and reverse grip and the balance is absolutely perfect. This is one of the few knives I own that are equally well gripped back and forth. When you have the Street Beat in a reverse grip pointing towards your elbow the knife literally disappears from sight. 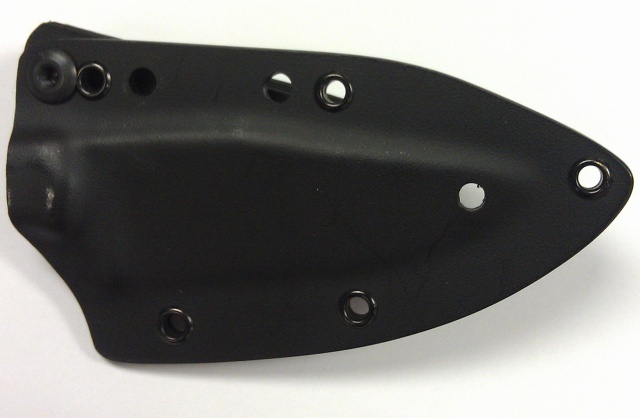 The sheath works well and has a very positive snap when the blade is pushed in. Initially it was some what difficult to take it out of the sheath. With about 50 insertions and removals it loosened up a bit and everything was perfect. 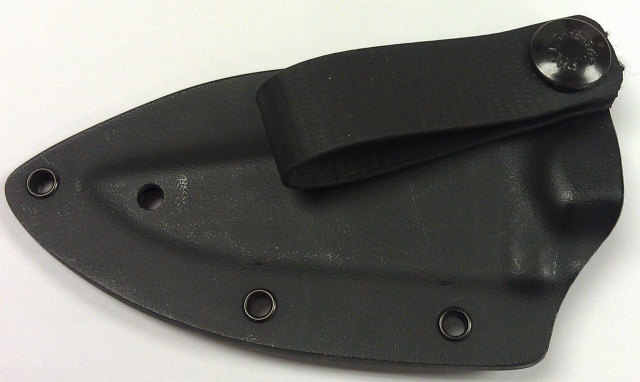 The kydex sheath can be thumbed off or you can mount it on the included Spyderco G-Clip. 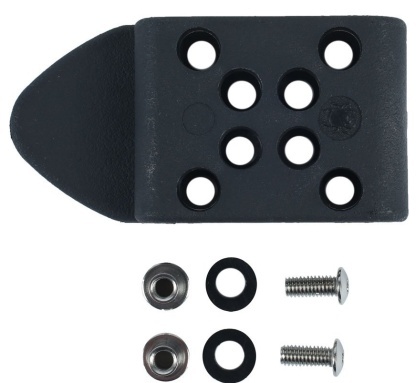 I found that the G-Clip was too uncomfortable for in the waistband carry and I removed the G-clip and added a 1.75 in IWB belt loop at about a 20 degree angle and it made a big difference in comfort and concealability. 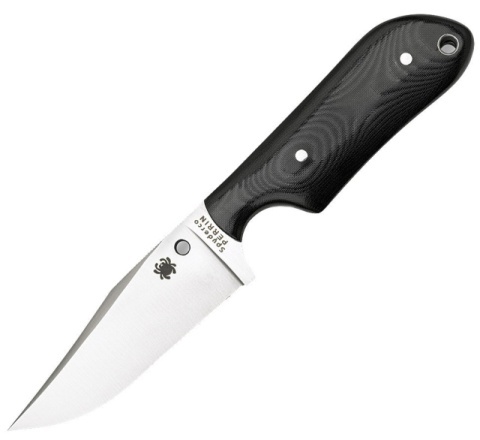 One of the best things about the Spyderco Street Beat is that in spite of being an all business fighting knife, it looks far from it, in part due to its size, but also the overall shape. 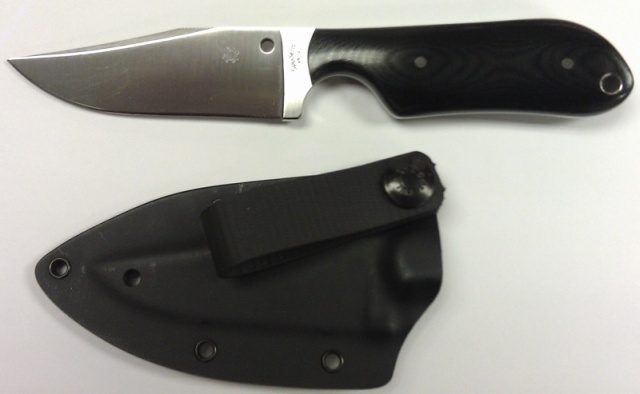 Overall, this is a great knife design manufactured of the best materials with top quality fit and finish. Highly recommended. This entry was posted in Edged Tools and tagged Spyderco G-Clip, Spyderco Review, Spyderco Street Beat, Street Beat Review on January 7, 2015 by GunGuy.